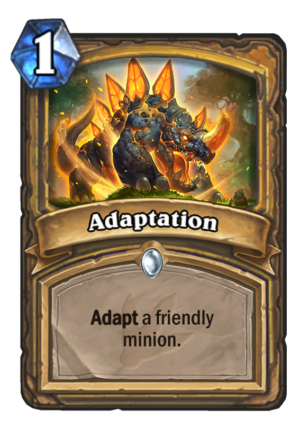 Adaptation is a 1 Mana Cost Common Paladin Spell card from the Journey to Un'Goro set! Pray for salvation. If that fails, pray for extra horns or bigger teeth. Rating: 3.6/5. From 1009 votes. No. Taking up a slot in my hand for a chance to get a poison or divine shield. No thanks I’ll keep my smuggler’s run. Actually a decent card. 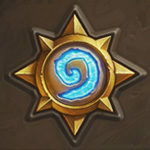 Might reinforce weak minions (such as divine shield on 1 hp minions or taunt minions). Not only that, it works w/ the paly quest, although the reward is arguably weak. 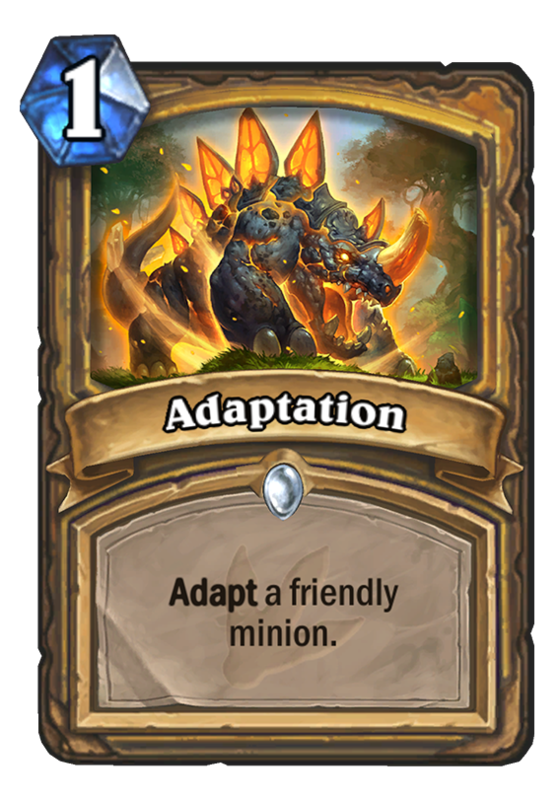 Based on the minions revealed so far, the Adapt keyword is worth around 1 mana, or 0.5 if gained situationally. I don’t think as a gained spell it is that good, but it certainly opens some interesting probablities. Of cource i think everyone suspected this card existing as soon as we learnt what the Paladin quest is. Will this make the quest better? Possibly slightly. I’m sure I’d rather play this than Might for instance. Adapt is definitely not worth 1 mana, even if bundled with a card. the thing is… you get to adapt twice or thrice a minion with this ._. This is a really good card due to the variety of choices, especially for the paladin quest too.